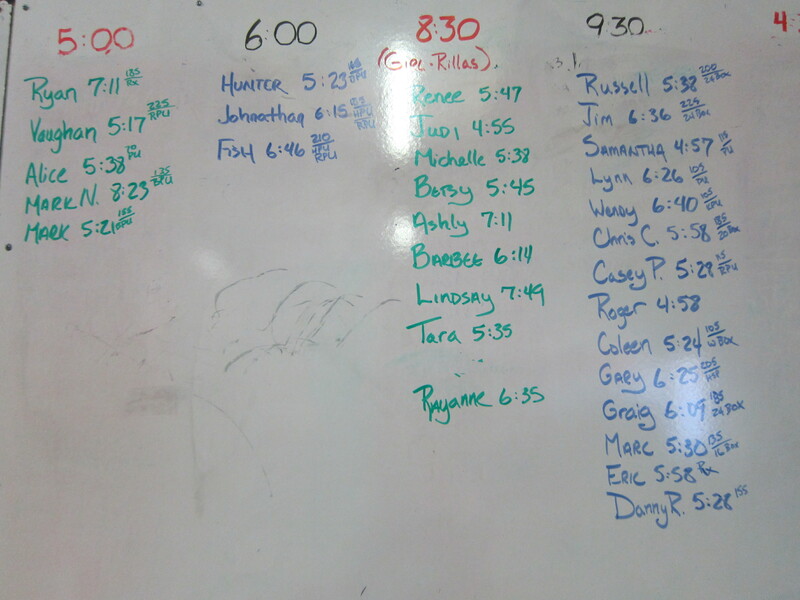 The morning crew turned in a great effort, are you up for the challenge? Nice little 8 miler today. Great weather (low 40’s little to no wind). It was supposed to be a 40 minute run but I got in the groove and didn’t want to shut it down. Tomorrow’s WOD should be interesting.